Producer Tiegen Kosiak joins our Panel as we listen and read your pitches live to help educate the Writers' Room screenwriters on what is and isn't working in their pitch. We take a look at a live pitch for and a Family Fantasy Feature, an Old-world Sci-fi Show based on mythology, and a Mystic meets Sci-fi Series set in Hawaii. Tiegen Kosiak is an independent film, TV, and digital producer as well as the co-founder of The Young Hollywood Mafia, an entertainment networking group with 150+ members. Tiegen is currently producing the $3MM thriller BORREGO, which she discovered in a Stage 32 pitch session last year. Tiegen is the former Director of Development for Zoe Saldana's Cinestar Pictures ("Rosemary's Baby", QUANTUM IS CALLING, THE HONOR LIST) where she navigated the first-look deal with Lionsgate and Televisa as well as an additional digital production deal with AwesomenessTV. Nick Assunto is part of the Stage 32 script services team and a screenwriter himself. He was previously a reader for the Austin Film Festival, a writer for the 2017 CBS Diversity Sketch Comedy Showcase, co-host of the Sunday show B.Y.O.T. at UCB, and dabbled in acting, having been featured on Late Night with Jimmy Fallon, an eHarmony commercial directed by Limp Bizkit's Fred Durst (for real), and is infamously known as Tony, the annoying party member from the 'Four Friends' Elder Scrolls spots. 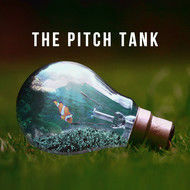 CCO Bradley Gallo and Story Editor Nat Topping from Amasia Entertainment join our Panel as we listen and read your pitches live to help educate the Writers' Room screenwriters on what is and isn't working in their pitch. Development Exec from Rosey TV joins our Panel as we listen and read your pitches live to help educate the Writers' Room screenwriters on what is and isn't working in their pitch. The Cartel Manager Corey Ackerman joins our Panel as we listen and read your pitches live to help educate the Writers' Room screenwriters on what is and isn't working in their pitch. Stage 32 CEO, Producer, and Screenwriter Richard "RB" Botto joins our Panel as we listen and read your pitches live to help educate the Writers' Room screenwriters on what is and isn't working in their pitch. Producer Development Exec Anna Henry joins our Panel as we listen and read your pitches live to help educate the Writers' Room screenwriters on what is and isn't working in their pitch. Producer Sasha Nonas-Barnes joins our Panel as we listen and read your pitches live to help educate the Writers' Room screenwriters on what is and isn't working in their pitch.